If your ball strikes a fellow players ball on the fairway by accident, both players will play from where their balls lie. There will be no penalty incurred. If you are off the green and you play your approach, and your ball strikes your playing partner's ball, your ball will be played from where it lies, your friend's ball will be moved back to the original position. There will be no penalty incurred, and in match play, also no penalty. If you putt your ball, and it strikes a competitors ball (which is also on the green) you will incur a 2 shot penalty (stroke play only). 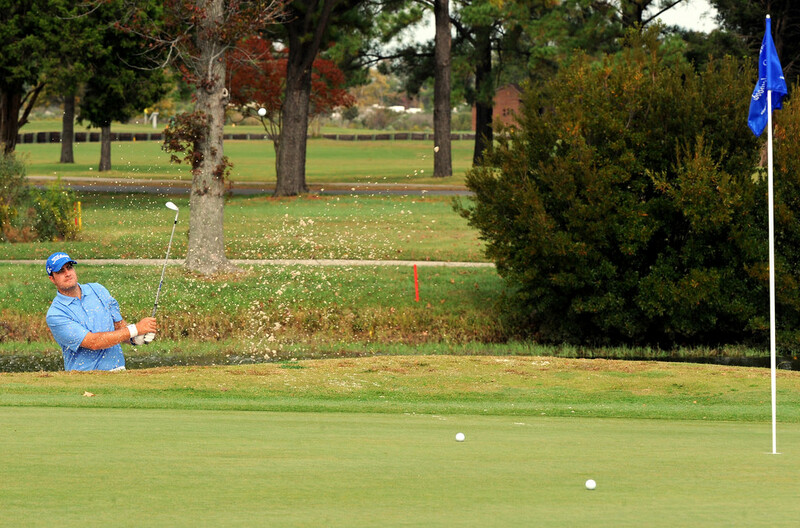 Your ball will be played from where it lies, and your friend's ball returned to its original resting position. In match play, also no penalty. NOTE: Failure to replace the ball that was moved to its original spot; or moving the ball that did the striking (rather than playing it as it lies) results in loss of hole in match play or a 2-stroke penalty in stroke play. If you aren't certain where the ball at rest was before it was knocked away by the colliding ball, use your best judgment to return it to a spot nearest where it most likely was. So, in the end, there was no penalty for me for the collision, as I was off the green. Always remember: 'Play the course as you find it, play the ball as it lies. If you cannot do that, do what is fair".